This golfer stands confident, holding a golf club in one hand while he watches the golf ball drop into the hole. Golf is a sport that many people enjoy, but it can be frustrating on a difficult course or bad day. 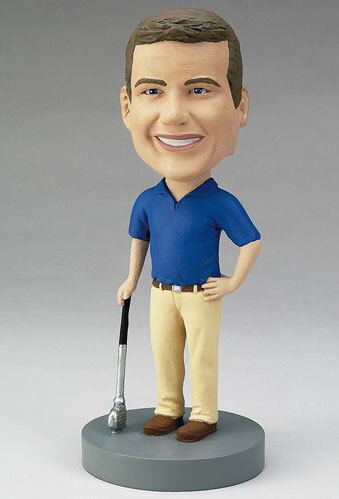 This personalized bobblehead is a great gift for a golfer you know, or makes the perfect hole-in-one gift!